Self-motivated 5th grade students prepared for and promoted author Steve Swinburne’s visit to Harry S Truman Elementary School. Kaitlyn, Samantha, Kendra, and Nikole independently decided to create Keynote and podcasting projects to feature Steve Swinburne and a few of his books. The students researched Steve Swinburne’s background using his website. 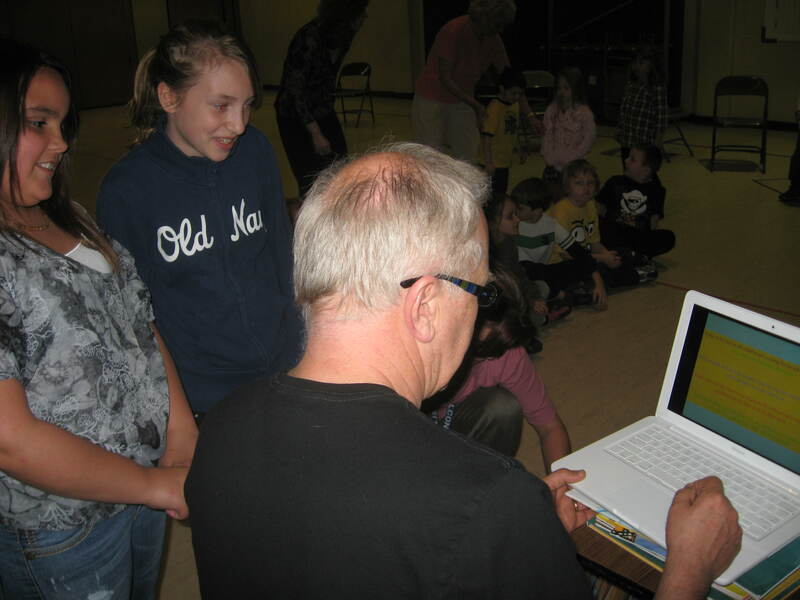 Then they chose one of his books to showcase in their Keynote presentation and recorded their podcasts in GarageBand. Kendra and Nikole created a podcast of the Barnacle Rap poem from Steve’s book titled “Ocean Soup:Tide-Pool Poems.” Kaitlyn and Samantha created a podcast describing the stages of a butterfly’s lifecycle using Steve’s book titled “A Butterfly grows.” Both groups of students shared their projects with classmates and with Steve Swinburne during his visit to HST.